The last aspect any competitor must consider, and equally if not most important aspect of equestrian competition, is the horse. Without it, I suppose we could still compete, if only in a slightly, er, more humble sort of way. But let’s be a bit more serious. The horse is our partner, and if he is not ready, we mere humans are woefully unable to compensate for the margin of error. To be fair to the horse, we must ask what is reasonable of him in terms of both fitness and training. It is just as unjust to ask a horse to understand a new skill and execute it perfectly in a stressful environment as it is to push him to the extremes of his abilities and therefore compromise his soundness of body. On the rider’s part, we alone are responsible for ensuring our mounts are physically ready to compete at the level we are to demand of them. Foster, for instance, is half warmblood, and as such, requires more work to get his cardiac fitness ready for anything more than Beginner Novice. Looking forward to Training level, it’s up to me to get my horse prepared by incorporating conditioning rides into our regular schedule. 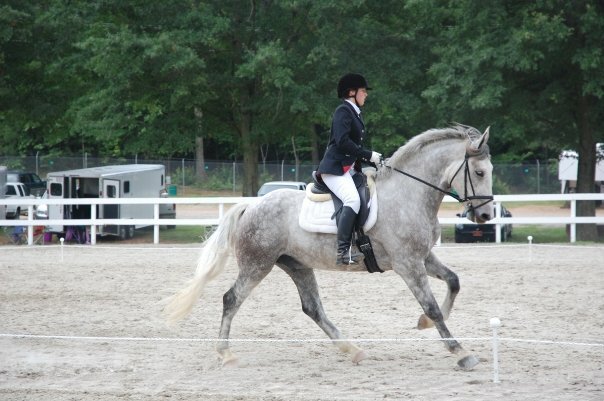 Mind-numbingly boring though they may be, that comes with the territory of having a [part] warmblood. Luckily, the reward is worth the work- galloping cross country on a fit (read: non-laboring) and happy horse is an amazing feeling, and gives me an accomplished feeling without ever having jumped a fence. The second part of this is the horse’s mental preparation. Is the horse completely comfortable with the exercises we are asking him to compete at the show? Knowing that in most competition settings there is going to be some level of distraction, whether that be a horse lunging, a dog barking, or a flag flapping in the wind, keeping the experience positive can live or die by your horse being mentally prepared. If I’m honest, right now I feel that Foster is more than prepared for Training level dressage, which to me is the equivalent of First level [pure] dressage. The jumping, as is usual, we’re teetering on the edge of being prepared. 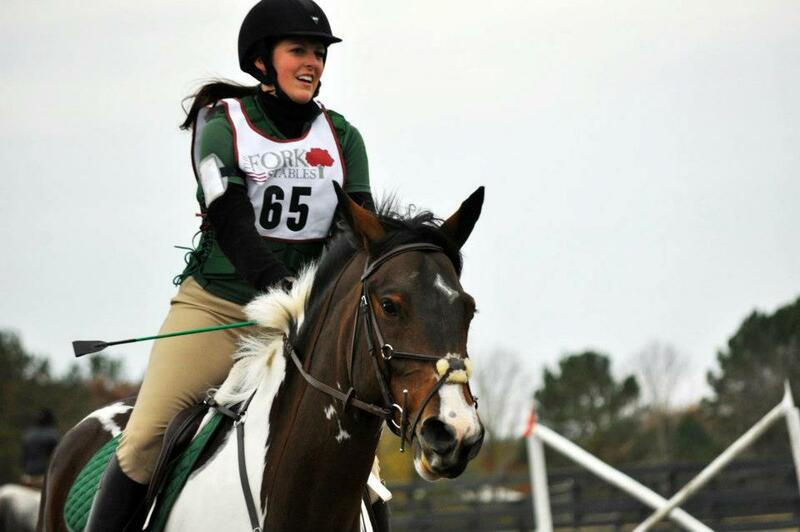 My goal is to feel comfortable jumping 3’6″ courses before doing any kind of horse trials- this so that when I walk up to a wide Training table on cross country that I won’t pee in my pants with fear (though I’m sure I still will, nonetheless). We’re not quite there yet, the recent snow especially messing things up, but that’s my requirement before moving up to a full 3 phase event. That’s the bar that makes me comfortable asking my horse to complete a task at a show. 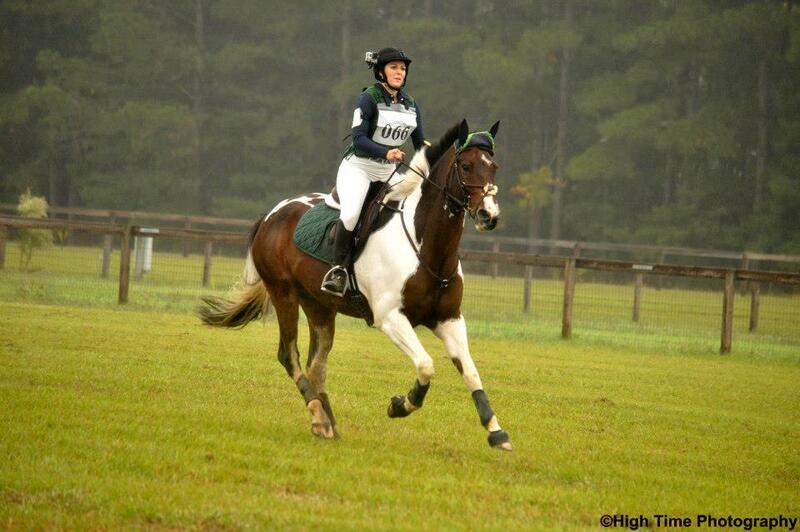 What do you do to get your horse mentally and physically fit for competition? What aspects of this do you struggle with? 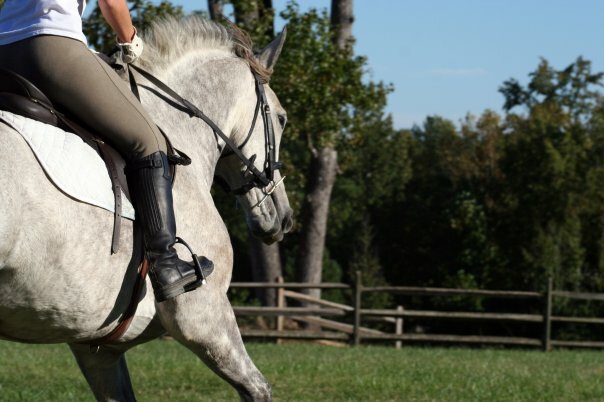 How do you decide if your horse is ready to move up a level? My personal standard for mental preparedness for my horse is that at home he is easily jumping a level above what I want to compete at — either at Novice if I want to do BN, or at least jumping 2’9″ easily if I want to do a 2’6″ jumper round. I want Murray to feel like he’s not intimidated by the jumps away from home, and that everything is easy, and he is always successful and a winner. This doesn’t mean I don’t challenge him, just that I limit the challenges on any given day. Anyway, I want Murray to feel like if we come up to something on course and I don’t know how to handle it, or he’s a little confused, that he both trusts me enough to get him out of it and himself to be able to do it. Great points as always! I agree with schooling larger than you are showing, I also am a big proponent of schooling narrower than normal jumps. If you have your horse jumping 4′ 6′ or 8′ (width of the face of the jump) jumps at home when you get to the show with 10′ or 12′ fences it gives you some wiggle room. This especially applies to greenies who are still apt to spook or get off their line at jumps at shows, the narrow jumps at home will up your accuracy which tends to make shows that much easier. I also agree with schooling larger/harder than what you’re showing. I also believe that schoolings/clinics/local shows are important for knowing your horse is ready for the show environment. It’s so hard to keep a horse physically fit in the Upper Midwest winters. That said, I’ve been doing a lot of muscle-building on Twinkle, strengthening her hindquarters for jumping and flying lead changes. When it’s nice outside, I like doing trot- and canter-sets around a long loop on the trails. Hill work is also a great tool! Luckily there’s a corner of the arena where all the horse-eating monsters live, so we can work on mental fitness, too, by practicing calmness and release even in moments of fear. This also helps reinforce the idea that my horse should look to me for support and leadership in all situations when I am riding – very helpful on course when a scary jump is coming up! Really interesting question! I think a lot about this, since my horse can be a sensitive mess. He’s a good traveler, and being at a new location or around other horses doesn’t phase him. So I don’t worry about that part. Instead, I focus on being more demanding in our schooling at home so he is always ready for the fast pace of the tests at shows. We practice strings of difficult movements, sometimes increasing the difficulty level. I practice getting him revved up, and bringing him back down. All of those things are problems we have at shows, and I like to have the background knowledge of how to handle them. The biggest thing I can do at a show to help my horse is to put together a long enough warm up. He takes at least 35 minutes to relax, come into the bridle, lift his back, and stretch enough to flex properly. So at a show I try to add on another 10-20 minutes of warm up to make sure I don’t feel rushed. Keeping Pig relaxed is always the biggest hurdle. I think fitness level is so, so important and sometimes not as often stressed in the hunter world as it is in dressage. I’m trying really hard to make myself focus on that myself this year.